Ok, first thing’s first. This is a glorified sponge. An excellent, expensive, complexion-perfecting sponge, but a sponge nonetheless. You literally sponge makeup onto your face, but this is awesome. In the photo on the left it is dirty & dry… mmm. On the left it is clean and damp. Haha! I always use this sponge damp because it helps to make foundations and bases apply so evenly. I just wring it under cold water and squeeze out the excess. It expands a lot. A lot a lot. Comically so. Once it’s damp I sort of bounce it all over my foundation until everything is blended and easy & I go off and do life stuff. Like essays. I also use the pointy end for blending in liquid concealers (hello, Kim K contouring… I wish) and just everything. I’ve used it for cream blush but I prefer a brush for that. The downside is that it’s hard to wash, it doesn’t last forever – when should I throw it away? – & it’s expensive. Also it gets stained! However it has wormed its way (ew) into my everyday makeup routine, and I just find it so easy and effective. I’ve tried most of the ‘dupes’, and they do not compare. 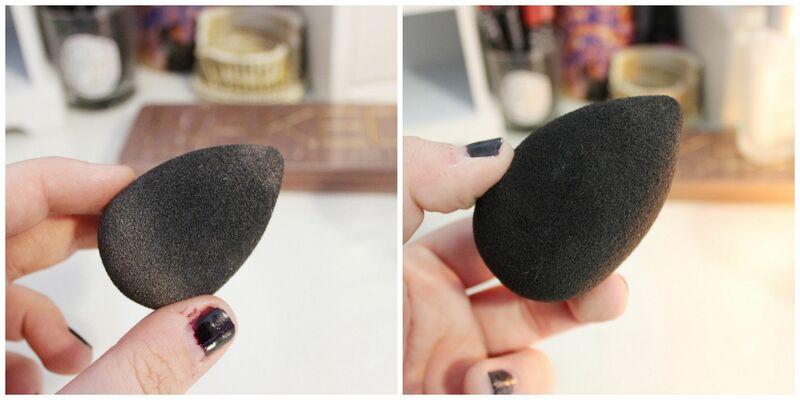 Have you ever dabbled with a beauty blender?